The 'Belt and Road Initiative' Is Not 'China’s Marshall Plan'. Why Not? Over the last year, the centrality of the “Belt and Road” initiative to China’s foreign policy has become apparent. The initiative — a grand plan to finance infrastructure projects throughout Asia and better connect China with the rest of the world — is central for a number of reasons. The scope of the initiative is stunning in its ambitions. 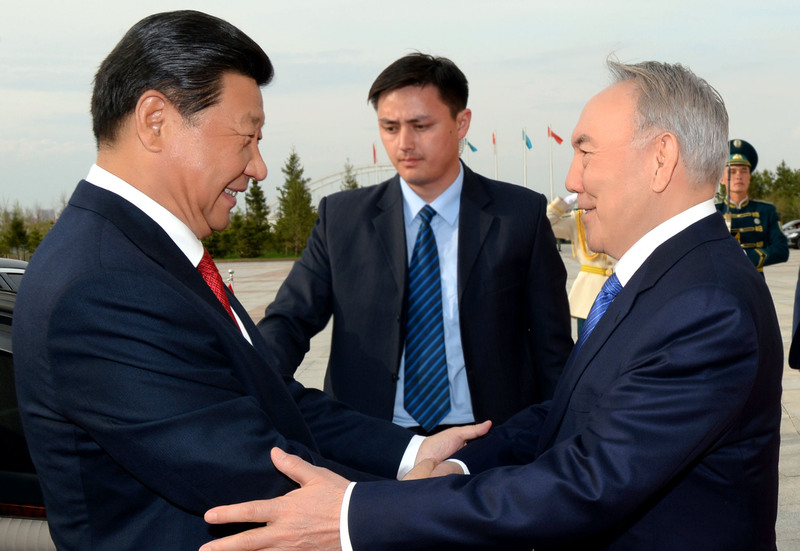 China has already invested great sums of money, and the plan has the potential to dramatically alter the economic landscape in Central Asia and beyond. The initiative also marks a transition for China toward a more proactive foreign policy that seeks to influence the character of its broader environment — something the United States has been engaged in for decades, but which is a new development for China. Chinese policymakers and pundits have been using the Belt and Road initiative as an opportunity to articulate what a Chinese version of proactive foreign policy looks like. The Belt and Road Initiative has often been compared to the Marshall Plan by both U.S. and Chinese commentators, and, in truth, the initiative is on par with — or surpasses — the Marshall Plan in terms of its size and ambitions. Chinese banks have already invested up to $250 billion in approximately 60 countries in infrastructure projects such as ports, pipelines, railways, highways, and factories throughout Southeast, South, and Central Asia. The China Development Bank has announced plans to invest $900 billion in coming years. China has also dedicated the $40 billion Silk Road Fund to financing the initiative and the newly formed Asian Infrastructure Investment Bank (AIIB) will also — though not exclusively — finance Belt and Road projects. At the policy level, China hopes to facilitate better coordination of logistics and customs clearing processes, and reduce barriers to trade and the international use of the renminbi. Ultimately, China hopes to reduce transit times, tariffs, and costs associated with ground transportation across the whole of Eurasia, and diversify its options regarding seaborne trade. The project has already altered political relationships throughout Eurasia. A deal to connect Pakistan’s port at Gwadar to western China via Chinese-backed infrastructure development has brought the two countries closer together, and earlier last year Russian President Vladimir Putin expressed interest in coordinating his regional economic plan, the Eurasian Economic Union, with the Belt and Road Initiative. In May 2015, Xi and Putin signed a brief agreement to explore cooperation. The overland portion of the initiative will serve the short-term aim of better linking the EU with China via rail corridors, but the impact on Central Asian states could be significant. 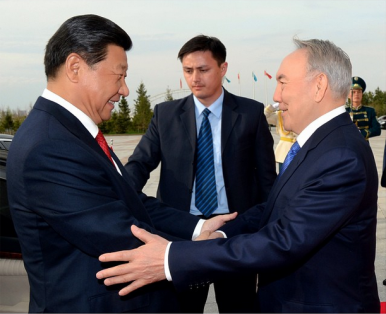 The initiative was launched, after all, during Xi’s 2013 visit to Kazakhstan. While many of the principles associated with this initiative would look agreeable to American proponents of a liberal order — “open,” “inclusive,” “win-win” — there has been a rhetorical effort among both government officials and pundits in China to differentiate the “Belt and Road” from U.S. foreign policy approaches. Most notably, many Chinese have taken the effort to explain how, despite many superficial similarities, Belt and Road is not “China’s Marshall Plan.” It is revealing to take a look at why this distinction is a talking point. By contrast, to those who wish to distance Belt and Road from the Marshall Plan, the latter was, in essence, an exclusionary program intent on carving an American sphere of influence. In one view, the European Recovery Program was a “political and security strategy” of such a self-serving character that the comparison to the Marshall Plan amounts to a criticism of Belt and Road. Another scholar claims that the American intent was to “allow the United States to dominate the European market more conveniently” with the effect of dividing Europe. Many scholars focus on the preconditions the Marshall Plan placed on recipients as ideologically driven and, thus, deliberately exclusive. In short, the Marshall Plan, and by extension, the Bretton Woods accords and other efforts, were part and parcel with a strategy of containing the USSR. The mode of global leadership exemplified by America’s postwar polices is often viewed in China to be a mere extension of its Cold War policy of containment. Current U.S. foreign policy is frequently interpreted as a continuation of this approach, but now with China as its target. America’s “engagement” policy is consequently often regarded as insincere or merely a tactical part of a broader containment policy, hence the recurring criticism we hear from China of the United States’ alleged “Cold War mentality.” Some part of this criticism is fair, given that some Americans have, indeed, supported engagement mainly in hopes of altering China’s regime, and some U.S. voices have outright advocated containment or “constrainment” policies. However, it is important to remember on all sides that no foreign policy is monolithic. No strategist speaks for a whole nation, nor do all interests within a country operate according to a concerted plan. In fact, competing nations tend to overstate the centralization and coordination of one another’s plans and they tend to view the actions of their counterparts in a negative light. Both of these patterns can be observed in Chinese criticism of U.S. policy and American fears of Belt and Road. From the U.S. perspective, the Marshall Plan was an integral part of not just an anticommunist agenda, but a strategy of establishing and maintaining an open global economy. Rather than being exclusive, much of U.S. postwar policy was driven by the understanding that the Great Depression and, in turn, the Second World War were caused by spheres of influence and politically determined trading blocs. Moreover, postwar policy was driven by many factors and factions, and the degree to which the U.S. exercised hierarchical control in the international system grew over time in response to perceptions that a more horizontally organized system was failing. (In fact, Americans typically derive the lesson from the interwar period that a globally recognized system of norms, respect for sovereignty, and free trade simply cannot be sustained without being backed by power.) While the Cold War context cannot be ignored, any description of U.S. policy as being driven solely by containment or a U.S. master plan for dominance is a considerable oversimplification. By the same token, many analysts in the United States today — with the exception of most economists — give a similarly offhand dismissal of Belt and Road projects or the related Asian Infrastructure Investment Bank (AIIB). One think tank expert inferred an ominous geopolitical intent behind the AIIB without even bothering to get the name of the institution right. Many have assumed that the AIIB constitutes a challenge to existing multilateral institutions without taking the trouble to examine how this is so — it largely fills gaps between existing institutions. U.S. President Barack Obama’s initial reaction to the AIIB was negative, although the administration reduced its criticism over the course of 2015. In truth, Belt and Road and the AIIB both look to satisfy infrastructure demands that are not being met by any existing initiatives or institutions. While the programs clearly aim to raise China’s standing as an international actor, the main drivers for these initiatives are very concrete economic considerations. China’s recent activities have real implications for international order, but eyeing its recent attempts at regional leadership with a reflexive mistrust does not do justice to the facts on the ground. Given the pressures the U.S. puts on China to become a “responsible stakeholder,” this suspicion looks a bit unfair as well. To ignore the long-term political effects of major shifts in international trade or the reorganization of multilateral groupings would be naïve, as would envisioning America’s postwar policies as being driven by simple altruism. More than one recent study has taken note of how many Chinese strategists view Belt and Road as a political asset, and the American postwar experience suggests that China is likely to become more politically embedded in its investment programs than it may currently envision. However, painting any country’s foreign policy in the broad strokes of “geostrategic competition” misses too many important details. Advocates of the United States’ foreign policy rely on the details of its behavior to favorably distinguish it from dominant states in the past. Similarly, it will be in the details of China’s policies — many of which are still to be determined — that determine the character of its own regional initiatives. Alek Chance is the Coordinator of the U.S.-China Cooperation Program at the Institute for China-America Studies and the editor of the ICAS Bulletin, a bimonthly roundup of scholarship on U.S.-China relations. This article has previously been published in the ICAS Bulletin. China's attempts to extend the New Silk Road westward have encountered problems.